The new cockle die-off event is still in progress, with rotting cockles beginning to create a stink on the Omaha side of the harbour. 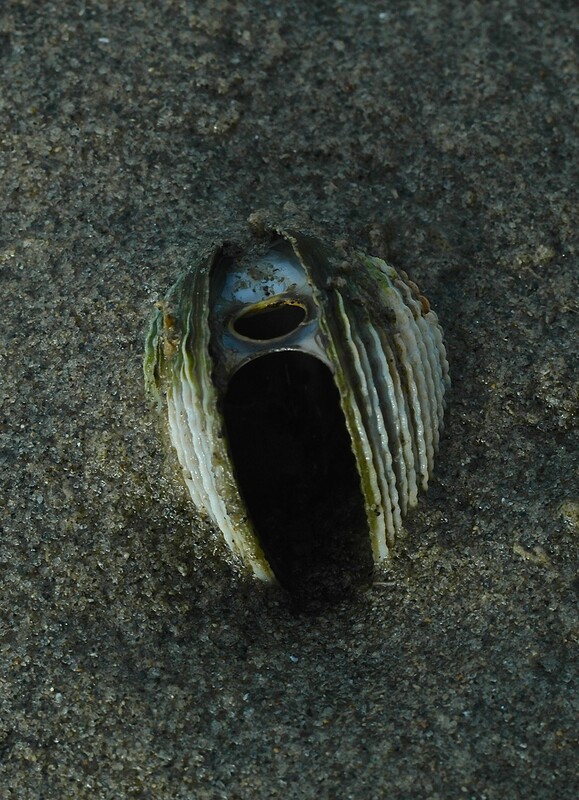 A dead and gaping cockle still embedded in the sand is slowly spreading its shells apart as the muscles which hold the shells together gradually fail. Following the massive die-off of 80% of the Whangateau cockles in 2009, a new cockle die-off event was first noticed on 28th March 2014. Mahurangi College students were carrying out a regular monitoring of the Horseshoe Island shellfish transects when unusually large numbers of recently dead cockles were noticed by Karen Tricklebank and Roger Grace. Following the official launch of “Sea Change”, the Marine Spatial Planning process proposed for the Hauraki Gulf, at the Hauraki Gulf Forum seminar at the Auckland Museum on 9th September 2013, further progress has been made. A meeting at the Auckland Museum on Friday 11th October collected a very diverse group of marine-oriented individuals and organizations together in one room. There were roughly 200 people there. The day was focused mainly on getting started on procedures to end up with who is on the Stakeholder Working Group, which is really the grass-roots part of the project where individuals and groups effectively produce the plan.